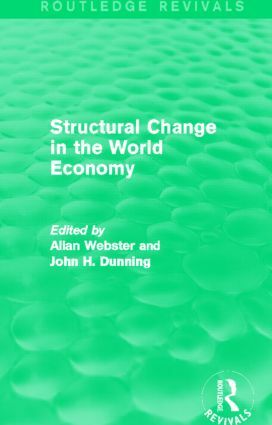 The chapters in this edited collection, first published in 1990, examine the key aspects of change in the global economy at the end of the twentieth century and the role of national government policies in this. Drawing on material from a wide range of disciplines, including international trade, technology and economic history, the authors discuss the implications of these changes for the world’s leading capitalist economies. With an analysis of the prospects for the future, this relevant title will be of particular value to students of business studies and economics and those researching the global economy over the past thirty years.